Shortly after the near-death of their founding pastor, Robert Morris, Texas megachurch “Gateway” has done something absolutely astonishing – the congregation collectively donated enough blood to save 4,600 lives. Since Morris’ return to the pulpit on June 2 following a serious medical episode that involved him suffering from profuse internal bleeding, the 56-year-old encouraged his 36,000-member strong congregation to give blood. “Someone giving blood is what saved my life,” he said of his ordeal. This is a picture of Haylie Geraci. She is part of our @GatewayPeople family and is battling leukemia. Her blood type is B negative. Six people gave blood for her. 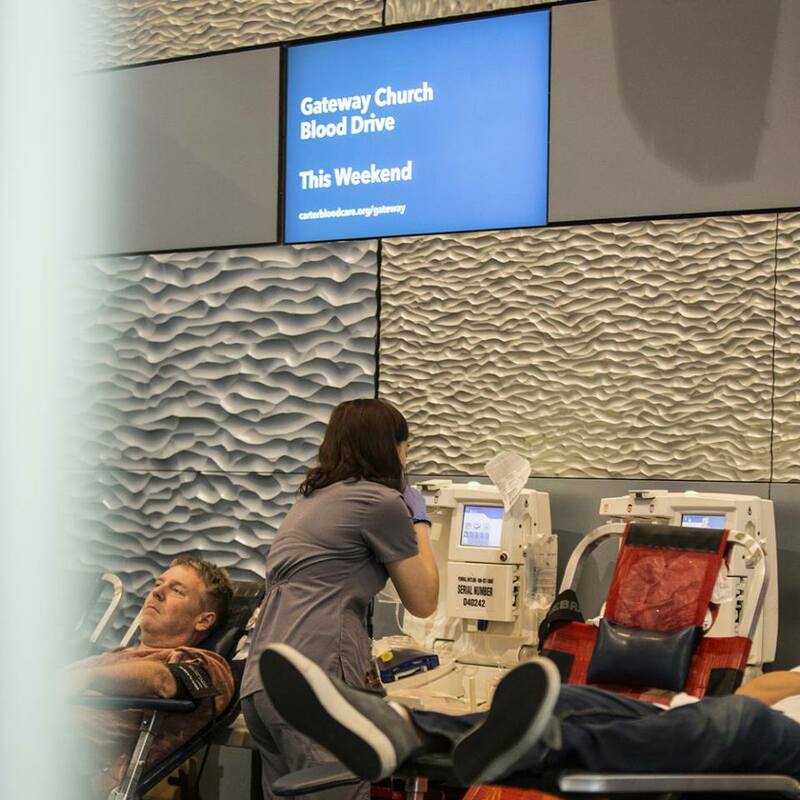 Gateway Church now holds the all-time record for the longest blood drive as well as the large response – an incredible achievement. “Gateway held six weeks of blood drives — on Saturday and Sunday — at each of their six campus locations. In addition to the drives held at each church location, the ‘corporate’ office held a drive. That makes 13 blood drives total,” Goelzer added to Christian Post. “They took it further and said they wanted to host a drive at each of their campuses and that they would do it on Saturday and Sunday because they have services both days,” she noted. “I was excited that I was about to see Jesus, that I was going to Heaven. I thought about my family and my church family but … I just knew God will take care of them,” he continued. Morris recounted a frank conversation he had with God: “If this is it I’m ready to come but I’d like to stay for my family. And I just don’t think you’re finished with me yet on earth (in terms of ministry work),” the pastor remembered telling the Lord. “And I knew I wasn’t dying that day,” the pastor declared. Morris underwent emergency surgery to repair arteries that had been damaged by two separate hematomas. It was touch-and-go for a while, but he made it. Now, he has had time to reflect on this traumatic experience and is profoundly grateful for all the prayers that were poured out for his healing. “Jesus Himself told us that Satan comes only to steal, kill and destroy. I think he was trying to kill me,” Morris said. “I’m here because of prayers, and I’m here because of our phenomenal first responders,” he declared, before noting that it was one of the church’s elders who performed the surgeries that saved his life. When it was announced that their pastor was in a grave condition in hospital, Gateway Church gathered thousands of members to pray throughout the night. It was a stunning show of support and care and clearly had a profound impact.